Mark and Kate live in Ambleside in the heart of the Lake District and spend some of the winter months in a small village in the Spanish Costa Blanca mountains. We were brought together through climbing and have been actively working in the outdoors for many years. We formed Mountain Journeys during 2009 to meet a growing demand for high quality and bespoke guided mountain activities. We are both qualified and highly experienced - between us there's over 50 years of mountain experience - and keep up to date with best practice methods. When we use other guides we ensure they too have the correct skill set and experience. This ensures all Mountain Journeys clients receive the very best attention, expertise and experience at all times. 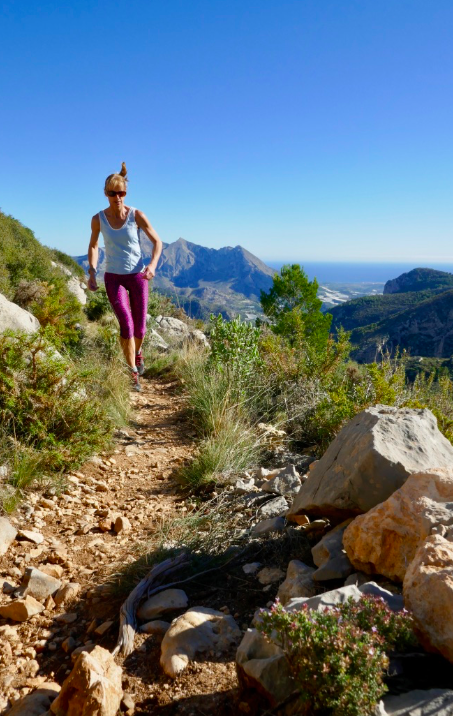 Both of us have an excellent knowledge of the Lake District and Costa Blanca mountains and can offer an insight into the mountain environment. We can likely answer most of your questions; we’ll certainly try our best! Alongside Mountain Journeys we operate Climb Scafell, specialising in guided walks, challenges and scrambles on Scafell Pike, England’s highest mountain. 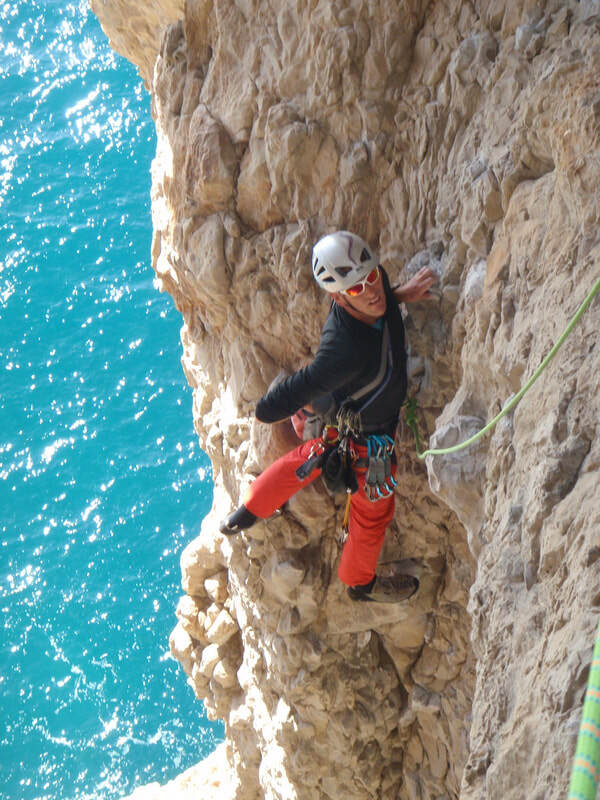 Winter months are spent taking clients on guided walks, climbing and multi-activity courses in the Costa Blanca mountains where the climate is perfect for walking and climbing. Since college, he has walked & climbed the mountains of England, Wales, Scotland, and throughout Europe, with over 25 years experience. Passionate about the mountain environment, and will make every effort to share his mountain skills, so at the end of a day you are not only refreshed & invigorated, but have gained knowledge of the mountains and how to travel amongst them. Mark has a BSc in Geography (Open University) with particular interests in Geology & Glaciation, and holds the UK Mountain Leader and Rock Climbing Instructor qualifications. Kate is a keen mountaineer, who has climbed and walked in the British and European mountains for most of her adult life. She holds the UK Mountain Leader and Rock Climbing Instructor qualifications, and is a UK Athletics fell-running coach. Kate aims to give you a safe and enjoyable time, sharing with you her skills and enthusiasm for the mountains. She also has a particular interest in flora and is always happy to share her knowledge with you. Born in 2007 on a working farm in rural Lancashire, it took him almost 4 years to realise that farm life was always going to be tough for a sheep dog. Work, work, work! And he never really got on well with sheep anyway (and still doesn't)! So Don decided to have some time out at the RSPCA home near Kendal. This is where we met, and he came to us shortly after, deciding he'd prefer life on the Lakeland fells. 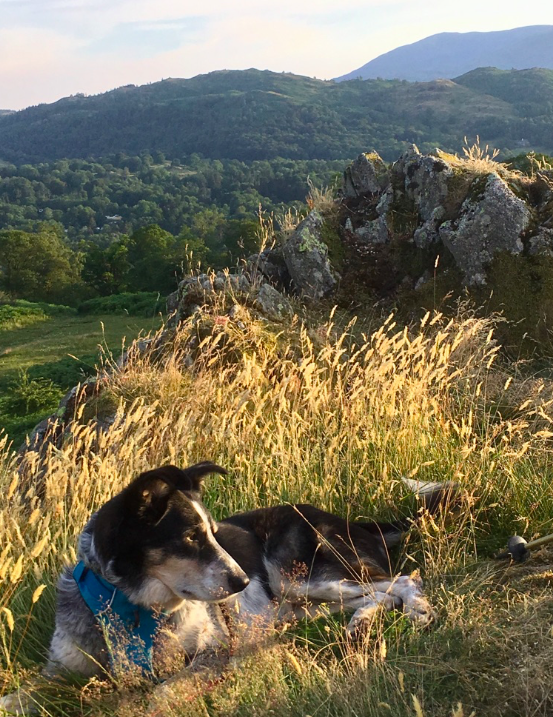 Now he fills his days with sunbathing at crags, travelling to exciting new places, sleeping in his comfy bed, and of course lots of running around on the fells. Don may join us when out on activities, although he tends to decide this on the day, and the weather needs to be to his liking. Some days he simply prefers to lounge around at home and do what dogs do best, sleep!